Built in 1650 as a coaching inn, and referred to in Wordsworth's poem 'The Waggoner', the Swan Hotel is one of the oldest hotels in the Lake District and is part of the Macdonald Hotel group. Airwave has recently installed 40 x 32 inch Sharp Freeview ready Hotel Digital TV's on desks, in-keeping with the hotel's decor. 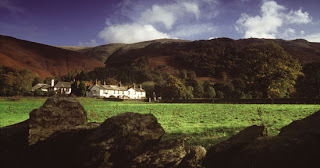 Jason Moore, General Manager at the Swan Grasmere, said, " Having worked with many companies that deal with the Hospitality industry, I have to say that Airwave Europe Ltd are among the best. After the order was placed to upgrade the TV's in the hotel, the service provided was seamless from start to finish. The order was quickly acknowledged, and the installation was completed within 10 days. Airwave followed up with a service call to ensure our complete satisfaction."